Asheborough House - About us. Most of the large and distinctive windows look out over the gardens to the countryside beyond, this is a really elegant residence in a village setting. Her name is Kate Mitchells HND Social Care). 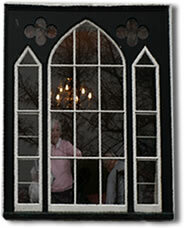 We also have regular entertainment and reminisce therapies. The accommodation is on three floors, single and double bedrooms on the upper two, reached by lift with wheelchair access to all areas. The communal rooms being on the ground floor. The large lounge is light and has a spacious feel, with plenty of room to accommodate the visiting musical entertainments, and the regular games which encourage social interaction. For residents who prefer something else, across the hall, all manner of games and craft activities will be going on. 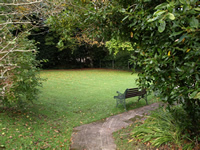 There is also a quiet room, again with garden views where a peaceful space is on offer for residents, perhaps to be enjoyed with their relatives or friends when they come. 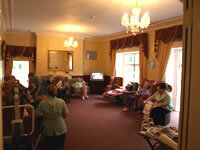 Asheborough House recognise the value of keeping in touch and will do everything they can to keep communication going. Dining: Typically the residents will take their home cooked meals in the communal dining room, a spacious room with views to the garden. © Sheval Ltd. 2017 - all rights reserved.